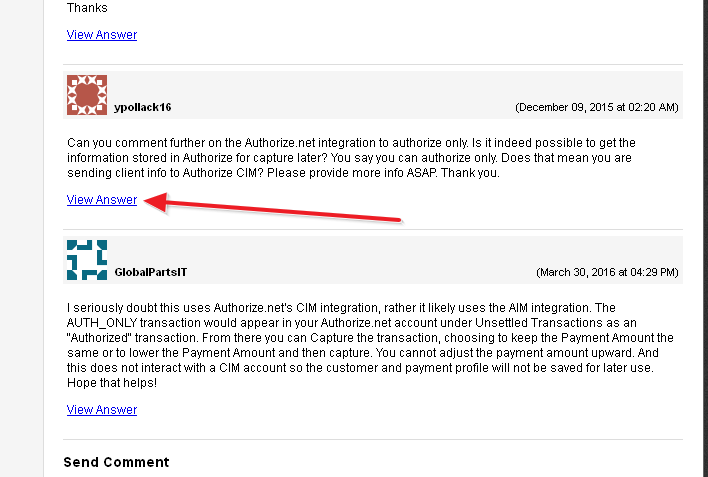 I seriously doubt this uses Authorize.net's CIM integration, rather it likely uses the AIM integration. The AUTH_ONLY transaction would appear in your Authorize.net account under Unsettled Transactions as an "Authorized" transaction. From there you can Capture the transaction, choosing to keep the Payment Amount the same or to lower the Payment Amount and then capture. You cannot adjust the payment amount upward. And this does not interact with a CIM account so the customer and payment profile will not be saved for later use. Hope that helps!